The visa forms and processes may be different for different types of US visas, but there is one thing common to all visas – the visa interview. All visa applicants will be interviewed at an American embassy or consulate. There are very few exceptions. At the end of the interview, the consular officer will decide whether to approve or deny the visa application. US immigration law determines whether a visa application is approved or denied. There are several reasons for denial. Based on the law, the reasons vary. 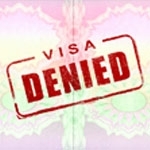 Sometimes visa applications are denied due to insufficient information, missing documents, incomplete application, etc. In such cases, providing the missing information or documents allows the application to be reconsidered. There are other reasons which make the denial permanent. Things like drug or criminal activities make a person ineligible for a visa permanently. There are instances when a person found to be ineligible for a visa can get a waiver. After adjudicating a visa application, the applicant is informed whether the application has been approved or denied. When an application is denied, a reason is provided for the denial. The conuslar office also mentions whether applying for a waiver of the ineligibility is possible. US immigration laws and the Immigration and Nationality Act (INA) list the reasons for ineligibility for a visa. Ineligibility means the applicant does not meet certain requirements. Some ineligibilities are temporary and can be fixed by the applicant or the US petitioner for some immigrant visa cases. Other ineligibilities are permanent and the applicant will always be found ineligible under that section of law how many ever times he or she chooses to make an application. This is the case always, unless the Department of Homeland Security (DHS) allows an application for waiver of that ineligibility. Applicants can refer to the website for a complete list of all visa ineligibilites. An applicant whose visa application was denied may re-apply for a visa in the future. If the visa was denied under INA section 221(g), the applicant will either have to provide the information or documents requested by the consular officer or wait for additional administrative processing to be done. In this case, there is no need for a fresh application. For visas denied under sections other than 221(g), the applicant will have to file a new application and pay the required fees again. Proof of change in circumstances since the previous application need to be provided.